Let’s be honest; it’s difficult to show us a Ford Mustang that we don’t want to get our hands on. These muscle cars are some of the most jaw-dropping on the market, and it’s impressive to see how people customize them to make them even more special. However, this Ford Mustang was customized by a NASCAR legend, and it’s even more drool-worthy than usual. 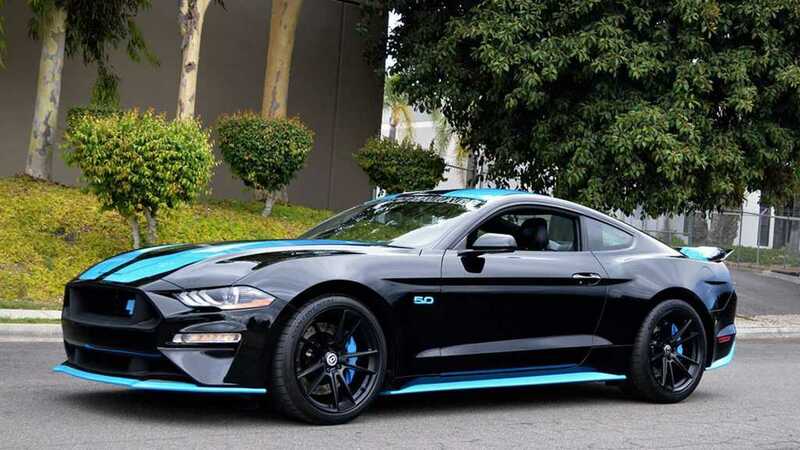 This tuned up beast is a 2018 Ford Mustang GT Petty’s Garage King Premier Edition, that was found listed on Motorious back in February 2019. Just look at it! Covering just 420 miles from new, this customized Ford Mustang is what dreams are made of – and it’s less than a year old to boot. Not only does it look amazing, and have some impressive stats, but it is also signed by the NASCAR legend behind the customization. NASCAR fans will know the name Richard Petty all too well. The legend of racing won a total of 200 races, including seven Daytona 500s, and bagging himself seven NASCAR Cup titles. On top of this, he ran the Richard Petty Enterprise team, and now the high-performance speed shop known as Petty’s Garage. The King of NASCAR has autographed the dash plate of this jaw-dropping Ford Mustang, so you know you’re driving an impressive piece of kit. So, what can you expect from this customized Ford Mustang? Under the stunning black and turquoise custom paint job, you’ll find a 5.0-liter V8 engine which promises up to 675-horsepower. Ford Racing have also provided a set of lower springs that will ensure a smooth ride, which is something we all need from a supercar like this. The finer details are what makes this Mustang a real beauty, however, including the embroidered headrests, blue shifter ball, and even stylish floor mats. 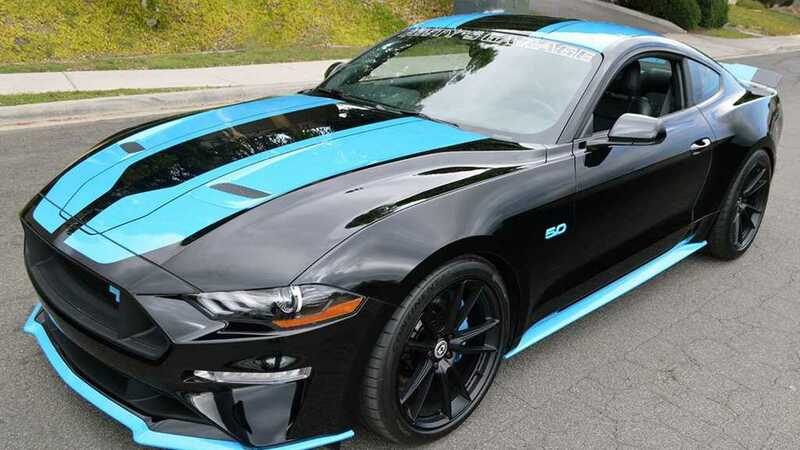 This is easily one of the best Ford Mustang customizations we’ve seen – and it comes as no surprise to learn that it’s the brainchild of Richard Petty. We have a feeling this is going to be snapped up pretty quick, and we bow down to whoever gets their hands on it.